Receiving the Barrel Racing Horse of the Year award is a very prestigious honor, and this year that honor went to DM Sissy Hayday. Hailey Kinsel and Sister. Photo by Ken Amorosano. 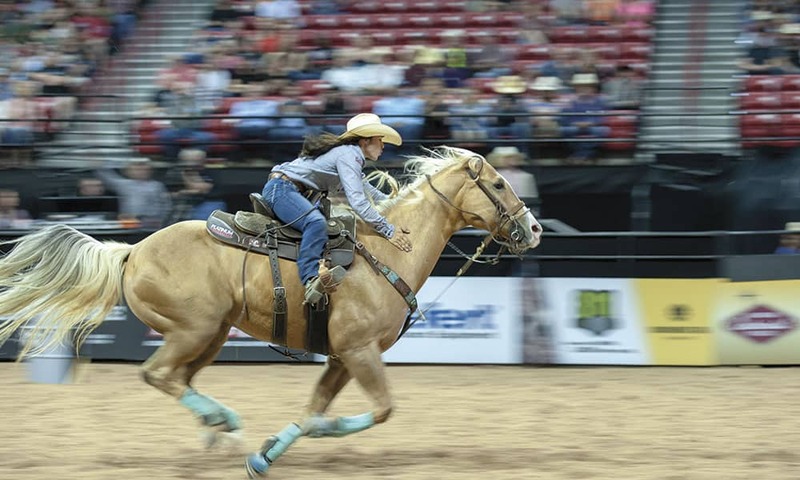 In the barrel racing industry, one of the most prestigious honors is receiving the Barrel Racing Horse of the Year award, and this year that honor went to DM Sissy Hayday, Hailey Kinsel’s lightning fast mare that is known for breaking arena records. Sister will be honored at the PRCA Awards Banquet in Las Vegas on December 5th at the South Point. Congratulations, Hailey and Sister! You are a duo to be reckoned with in the rodeo arena. Take a look back at some of Hailey’s Cowboy Christmas run here.